Jaypore E-Commerce Pvt Ltd, which runs Jaypore.com, an e-commerce marketplace that sells Indian apparel, jewellery and home dÃ©cor items, has raised $5 million (around Rs 34 crore) in its first round of institutional funding from social venture capital firm Aavishkaar. "The capital raised will be used primarily for investment in scaling up its technology platform, strengthening workforce and brand building," Puneet Chawla, CEO of Jaypore, said in a statement. He said the company will continue to focus on expanding the product offerings, including those under its private label. Jaypore was founded in 2012 by Chawla along with Shilpa Sharma and Aarti Jesrani. Chawla was associated with Info Edge (India) Ltd, Redbus and designer apparel etailer exclusively.in earlier while Sharma previously worked with Lintas, Marico Industries and Fabindia. Jesrani is the founder of Hopscout.com, an online brand building company, and has earlier worked with Infomedia18, Burrp and Taj Group of Hotels. Jaypore predominantly operates in the handmade apparel, jewellery and home decor market in India, which it estimates to be worth more than $7 billion. The company curates collections that represent the country's craft-based designs by partnering with artisan communities, textile designers and independent artists. Founded in 2001, early-stage equity financing firm Aavishkaar now claims to have over $200 million under management and a portfolio of companies in sectors such as agri-business, healthcare, financial inclusion, energy and education. The company has invested in more than 50 enterprises in India across eight sectors with 90 per cent of the companies focusing on rural and semi-urban markets. 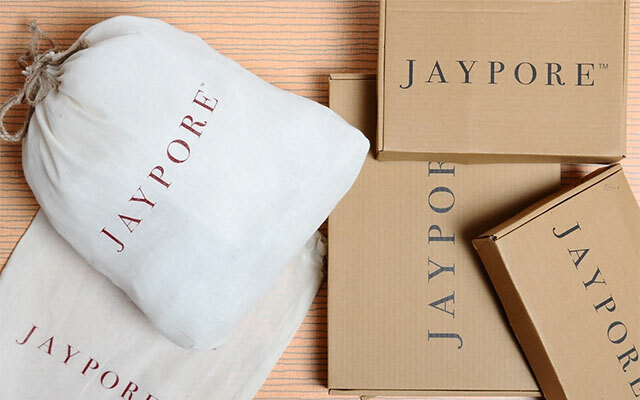 Jaypore competes with Craftsvilla, an e-commerce marketplace for ethnic products which recently raised $34 million in Series C funding from existing investors Sequoia Capital and Lightspeed Venture Partners. Its other competitors include NDTV's Indianroots, IMBling, Indiabazaaronline and Mirraw. Aavishkaar Venture Management Services Pvt. Ltd. Jaypore E-Commerce Pvt. Ltd.